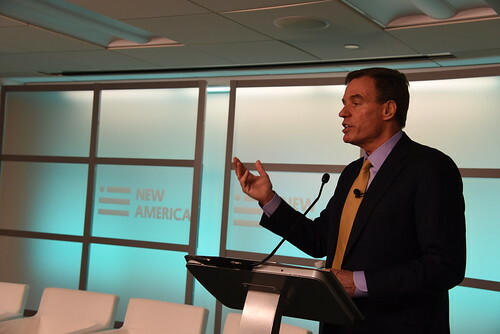 Senator Warner is committed to exploring the 21st century generational and technological changes and how they’ve led to perhaps the most dramatic transformation in the American economy in decades. Whether by economic necessity or by choice, as many as one-third of American workers now find themselves working in the “on-demand,” “sharing” or “gig” economy. Today, online platforms such as Airbnb, Uber, TaskRabbit and Etsy can provide granularity in matching supply and demand for things many people may never have thought about monetizing before: A spare room. A ride in a family car. Free time. The changing employee-employer dynamic of the “gig economy” poses both opportunities and challenges for the American worker, allowing freedom and flexibility of hours. But many of these on-demand jobs do not provide traditional safety net protections for workers: unemployment insurance, workers’ compensation for injuries, or pension and retirement planning. Senator Warner is committed to putting forward practical solutions to keep up with this fundamental shift in the economy and to make the on-demand economy work better for more people. 1/8/16 CNET: What happens when Uber and Airbnb 'hit the fan'?